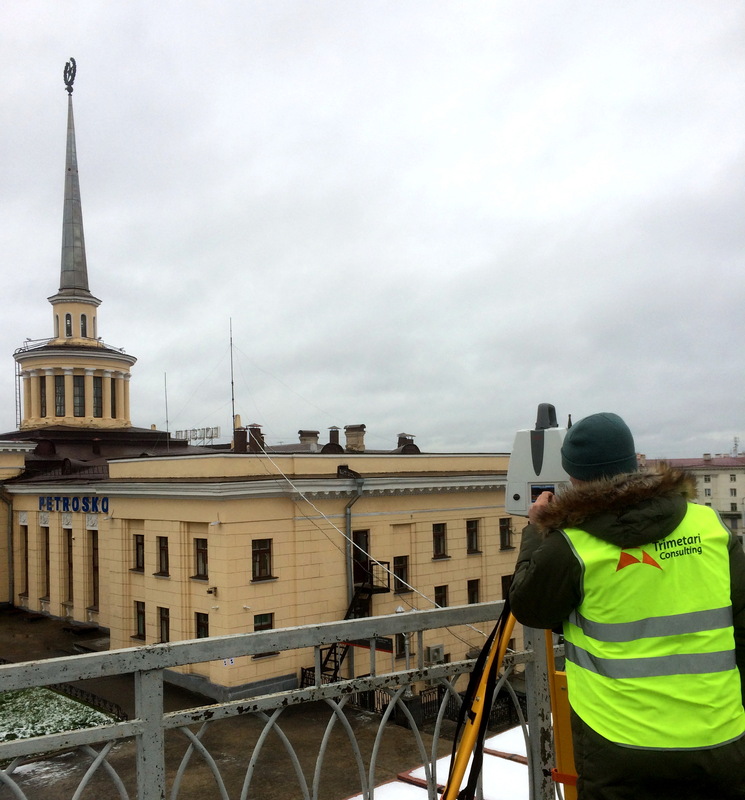 In November 2017, Trimetari Consulting LLC team completed laser scanning of the facades of the station building in Petrozavodsk, Karelia. The survey was carried out with the aim of drawing up architectural drawings of the facades for the design of the restoration. For 1 day of measurement work, the field team, equipped with the ScanStation P40, the latest model of the Swiss manufacturer of 3D scanners, Leica Geosystems, performed laser scanning of the facades and roofing of the building. Another day was required to perform registration and georeferencing of the laser scanning data into a single system of coordinates. The result is presented as a point cloud in the Autodesk RCP format, which allows architects to work with the point cloud directly in familiar and common Autodesk AutoCAD and Revit CAD software. 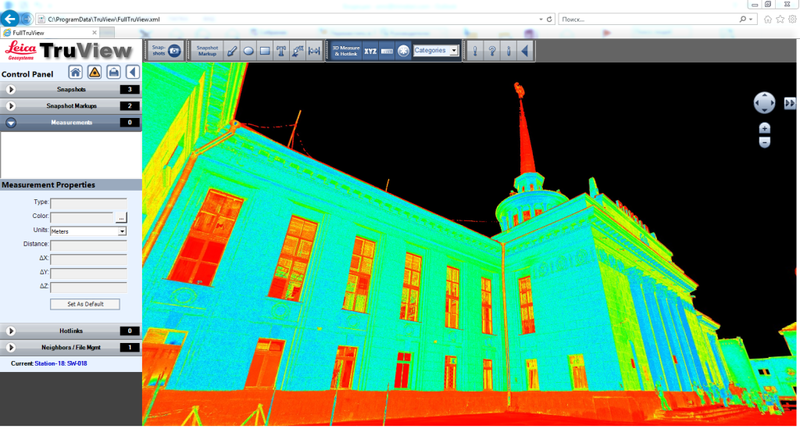 In addition to the point cloud, TruView panoramas were made, allowing to worksharing an architectural project. The building of the station is an architectural monument. It was built in 1953-55 according to the project of architect V. Tsipulin in the style of late neoclassicism. It gives the compositional beginning to Lenin Avenue, which is the main functional axis of Petrozavodsk’s city center, and dominates the ensemble of Gagarin Square. The building is an integral symmetrical-axial composition (the length of the hull is 82 m). 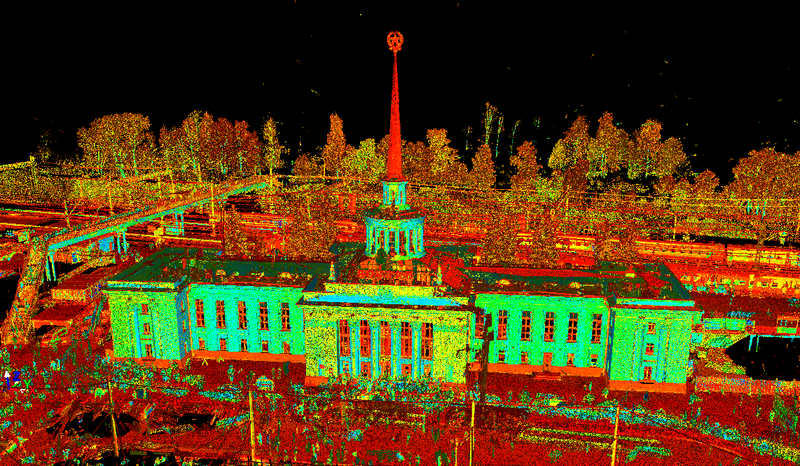 The company Trimetari Consulting has extensive experience in laser scanning of architectural monuments, the most common goal of laser scanning is to obtain architectural measurement. The set of measurement documentation is used by architectural bureaus for the design of restoration works, as well as for delivery of materials to the governmental agencies of monuments protection.